Everything these days, including DNN's CMS, Evoq Content. Evoq Content (formerly known as DotNetNuke Professional), and their new Evoq Social (social community platform) are now both offered as turn-key cloud solutions and promise performance, scalability (elastic cloud), reliability and redundancy. While DNN's solutions being offered in the cloud is new, their cloud provider is not. The first and biggest benefit is that it's "instant on." Well, maybe not completely instant, but all you do is purchase or order one of the DNN cloud solutions from a reseller like Clarity Ventures (a Top 5 Gold Certified DNN Partner), and the solution is spun up for you in as little as 45 seconds! That means no installation, no servers, no more manually performed updates and it comes with an SLA (more on that later). As with all good cloud solutions, it's elastic, meaning that as you need more horse power, you simply pay for another server and DNN will spin up another instance for you. Who's Cloud is it Anyway? Great question! Microsoft's Azure cloud. That's right. Several years ago, DNN partnered with Microsoft to build the most powerful .NET Cloud-based CMS offering in the world. It took more than a year to build out all the technology needed to make this seamless for their clients, but they did it. Now you get the benefits of the DNN CMS platform from DNN, but the 24x7x365, world-class technical support. What Kind of Coverage Can My Cloud Have? How Can I Manage the Platform? Nothing changes with the CMS admin UI, except for the addition of the Cloud Management drop-down. The same great header-style control you've always enjoyed and already know - are still there when you login. This means that for your content editors, nothing changes. The big difference is for the IT staff. DNN provides them with a "system" drop-down menu, for managing your cloud installation, managing its back-ups and even instantly spinning up a testing server. The drop-down allows you to easily and quickly perform system-wide functions on the fly. What are the Cloud Specifications? What are the DNN Evoq CMS Specifications? That's a great question, and although I know the answer today, they upgrade the offering almost every month, so I'm not going to print the exact specs here as by the time you read this, they'll already be offering more. So How Do I Purchase? 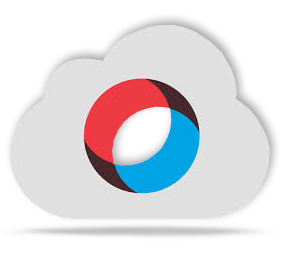 Give your web services provider a call to talk to you about spinning up Evoq Cloud for you and get started today!